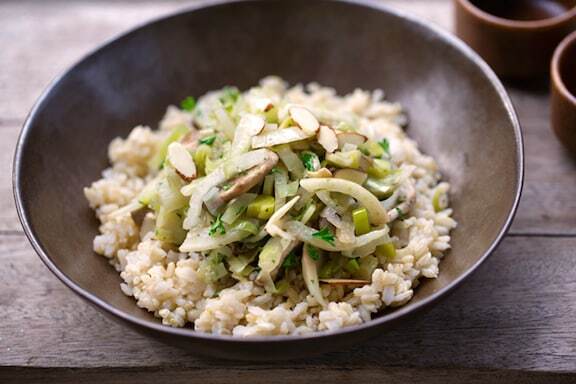 Though anise-flavored fennel is a great veggie, most of us don’t think to use it for everyday meals. 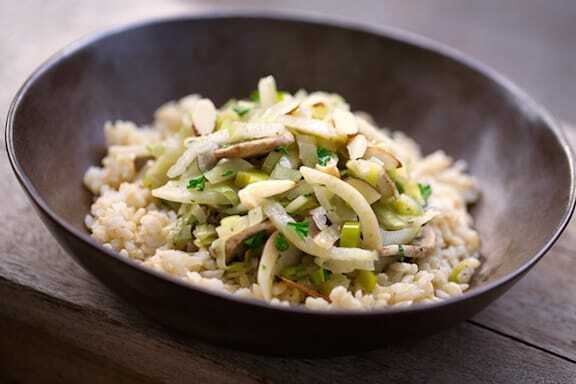 Sautéed with leeks and mushrooms, it makes a simple side dish that’s a nice accompaniment to pasta and grain dishes. Photos by Hannah Kaminsky. Heat the oil and wine in a large skillet. 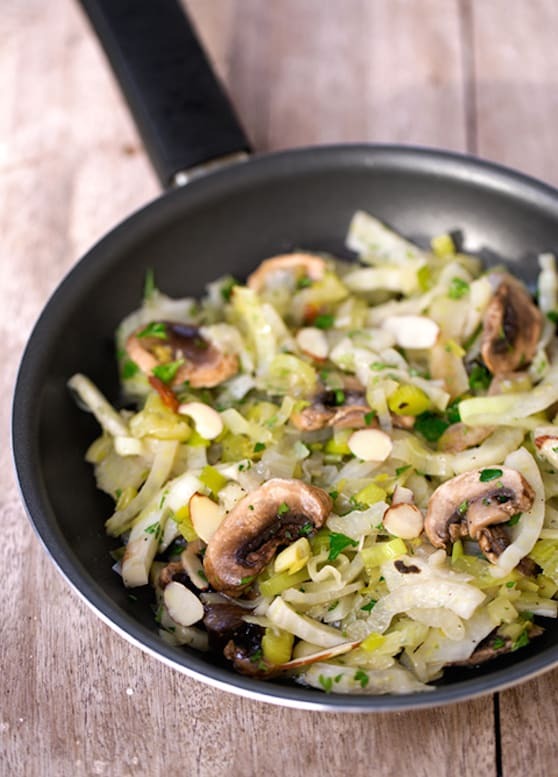 Add the leeks, fennel, and mushrooms, and sauté over medium heat, stirring frequently, until the leeks are wilted and the fennel tender-crisp, 10 to 15 minutes. Add tiny amounts of water if needed to keep the skillet moist. When the vegetables are done to your liking, stir in the parsley and nuts. Season with salt and pepper, then serve at once. Note: Chop the stems and save them for another use, such as to flavor the base of soups and stews. Sometimes they tenderize when they’ve cooked long enough, but it they don’t, you can always scoop out discard.